Thief River Falls, Minn. (March 24, 2011) – Arctic Cat showcased an unexpected ROV dubbed “Wildcat” during the close of their 2012 snowmobile dealer show in Nashville, TN. 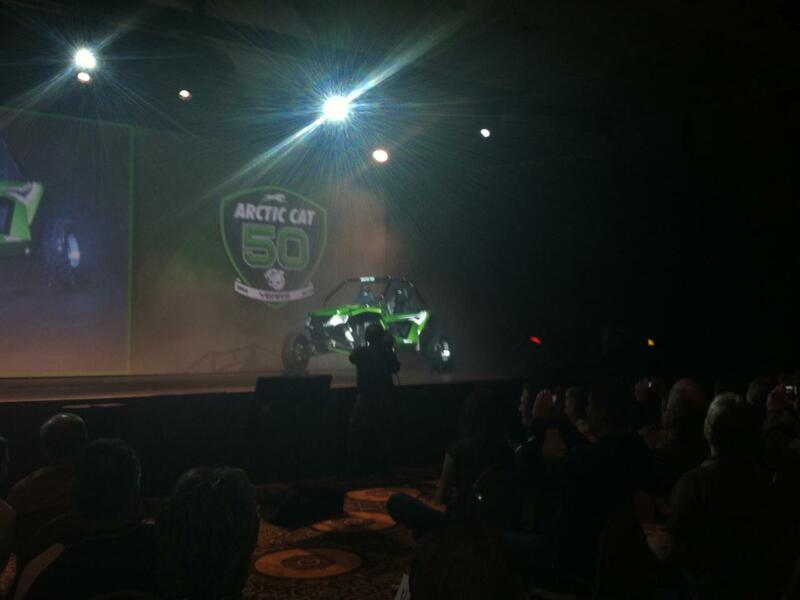 Arctic Cat has strived to bring innovative designs and technology to their customers since 1962. With 2012 marking the brand’s 50th Anniversary, the bold off-road styling cues of the Wildcat’s bodywork coupled with its aggressive sport stance and interior suggest Arctic Cat will move to the forefront as the industry-leader in the pure sport ROV segment.